right flipper coil goes. The other end connects to the left flipper leaf switch but I'm not sure where. Sure looks like the switch stack screws were replaced with ones too long..
And replace those damn bulbs..very cool machine. Here's a better picture showing the right flipper stack as you lift the playfield. I need to know where this green/black striped wire connects on the opposite end. If someone could put up a pic that would help. The outside switches are your lane change switches. The green/black wires are column #5 on the switch matrix. You can connect this to any green/black switch wire, preferably one close by. 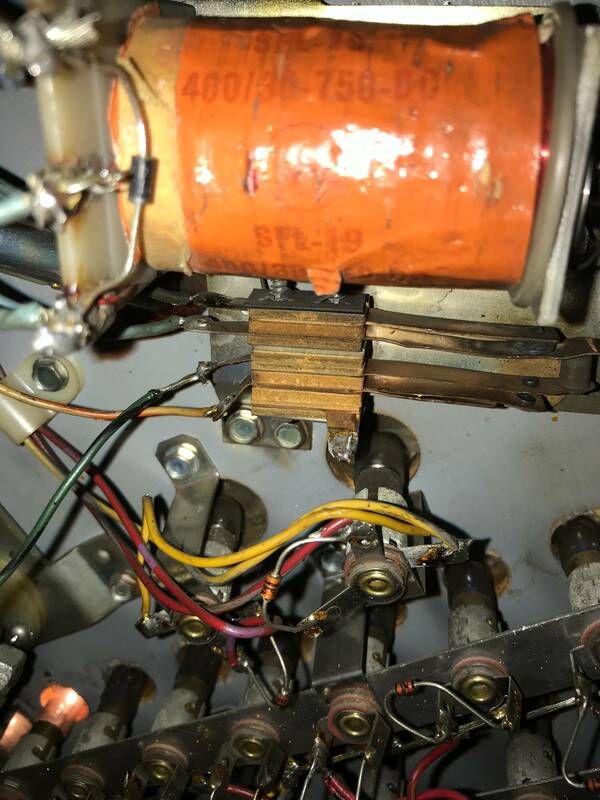 The other end is probably to be connected to either the left flipper lane change switch or the playfield tilt switch (not the plumb bob). 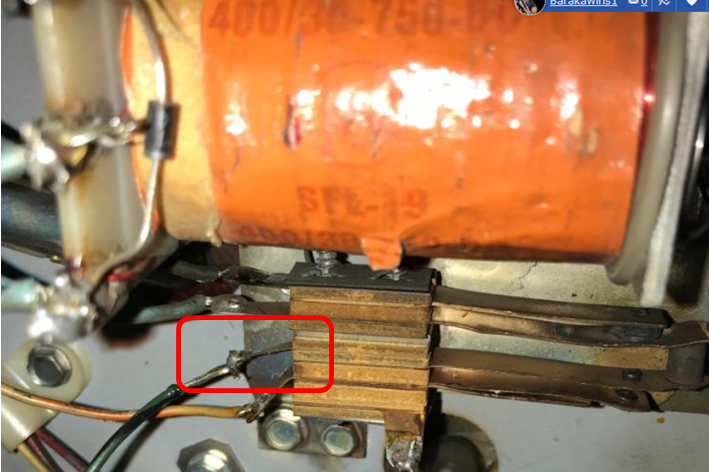 Do not connect this wire to flipper coil or flipper EOS, or you will get the switch matrix circuit.